I recently started following Recipe Tin Eats at http://www.recipetineats.com/. This is such a fun food blog to roam around full of stuff I both love to eat, hate to eat, or am curious enough to try. 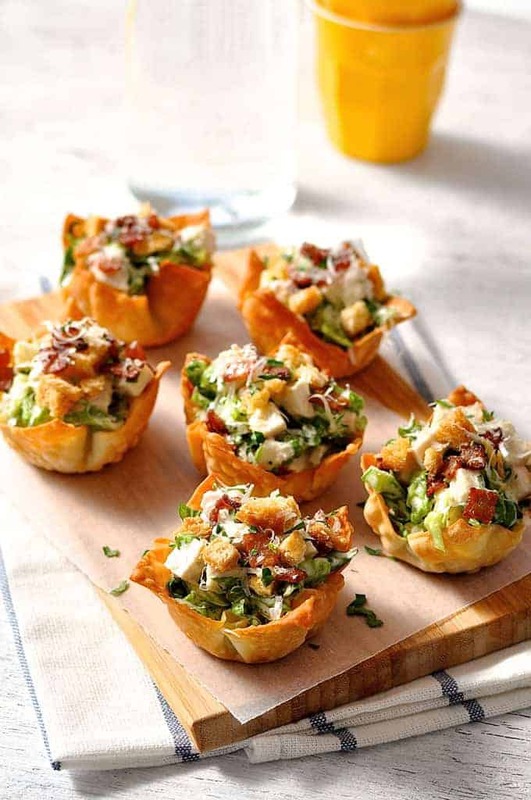 So on my feed on day popped up Caesar Salad Wonton Cups. 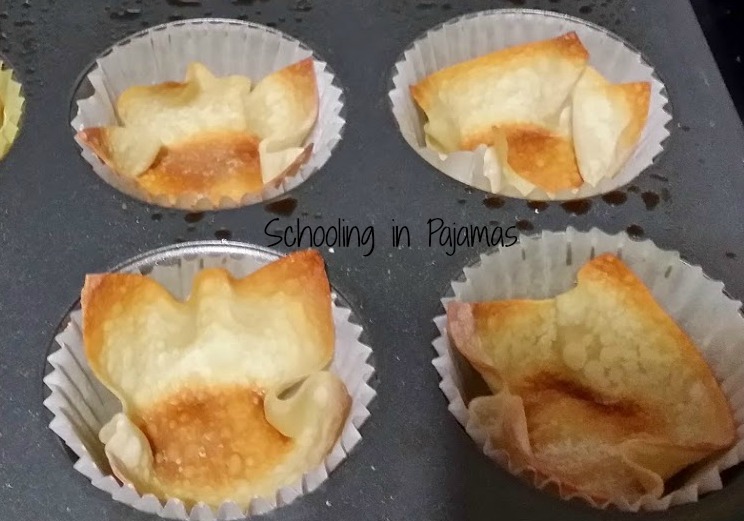 I was so excited to see this as I’ve made cups using tortillas before and they are a bit time-consuming in that you have to cut them out before popping into the muffin tin. I saw this right before a grocery trip which was just lucky for me don’t ya think? 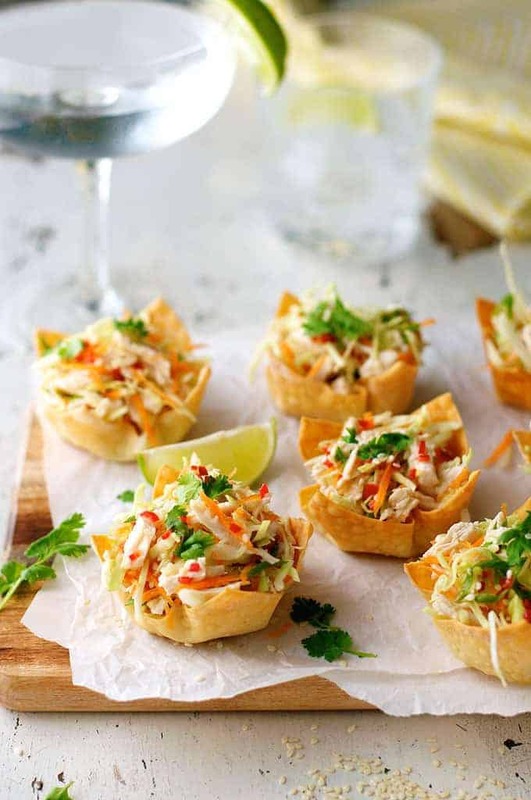 You find the recipe at the above link or click here: http://www.recipetineats.com/caesar-salad-wonton-cups/. 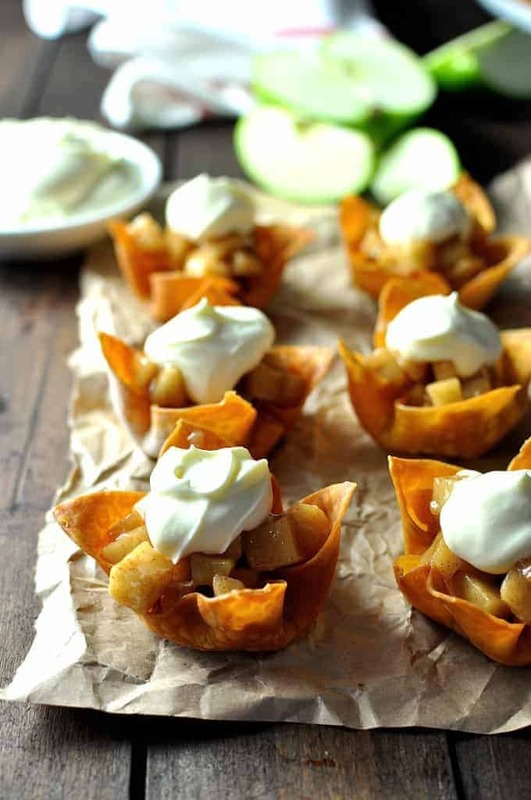 I did not make the salad part as I wanted them for something different so I will just be talking about the wonton cups. Pre-heat oven to 350 degrees. Take a package of wonton wrappers and separate. Place cupcake wrappers into the cupcake tin (not mini tin but regular size cupcake tin). Spray lightly the wrappers then take one wonton wrapper per liner and place into it. Gently press down so as not to tear the wrapper. It will not be completely flat but kinda make little folds around the edges. Spray the wrappers lightly again with olive oil spray or plain cooking spray. Do not trench! Cook for about 8-10 until crispy and slightly brown. Let cool and remove from wrappers. I used cupcake wrappers because my tin is kinda gross looking due to it being used all the time. Make sure you spray the wrappers and watch your time. I didn’t spray my first ones and though they did not stick, they did keep some of the flour from the wrapper making them look kinda funny. I also cooked a bit too long by a minute or two and they over browned but did not burn. Not very cute looking. My second batch I sprayed the cupcake wrappers lightly and then the wonton wrappers lightly and the difference was very apparent. No signs of flower and golden brown with a perfect crisp. We served them with a lettuce, cheese, cucumbers, and ranch dressing for lunch then for dinner we used them for taco bowls. Put beans in bottom, add hamburger meat and whatever toppings you want. Yum!! My 7-year-old loved them. I caught him going in and eating the extras out the bowl I had them in. Here are some other things to try in your bowls. Are you hungry yet? 🙂 Be sure to head over these great blogs and check them out. I’m sure you’ll find something you like. Let me know how what you put in your wonton wrappers in the comment section. Thanks for stopping by.